Check-in: Greet your guests with a personalized welcome message and enable them to check-in with one touch. Ensure all guests agree to the property terms & conditions on entry and receive a email when your guests arrive for complete peace of mind. Grow your guest database by ensuring you collect all your guest’s information when they check in at the property. Welcome Video: Give your guests a premium welcome with a personal or brand video message on arrival. Alternatively, ensure all your guests view a health and safety video, ensuring guest have a happy and healthy stay at your property. First Impressions Rating: Your guests first impression of the property will decide the rating they leave on the OTA. The tablet asks the guest for an instant rating of their impression, notifying you if the rating is 3 stars or below. This information can prevent bad reviews before they happen. Video Guides: Guests like video guides. A 10 second video on how to operate TVs, appliances and hot tubs will quickly eliminate the phone calls / call outs that affect the profitably of each booking. Videos can be easily recorded on your phone and simply uploaded to the YourWelcome Dashboard. Guest Messaging: Centralize the platform that you communicate with your guests. 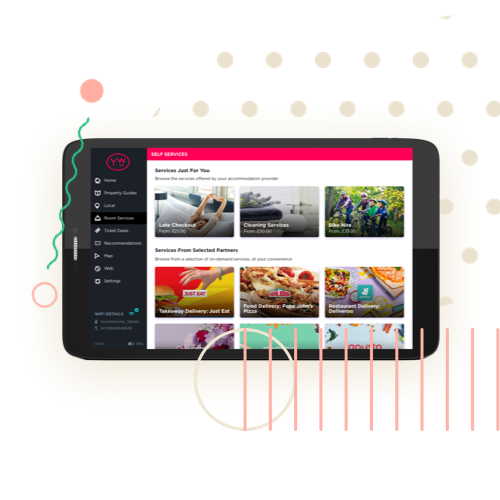 The YourWelcome tablets come pre-bundled with a chat feature that enables guests to simply communicate and upload images of anything that maybe broken.The chat messenger is built on Slack, which means you can simply respond to messages on your phone via an app, assign operation managers to individual properties. Sell Your Own Services: Transact directly with your guests during their stay through the tablet. 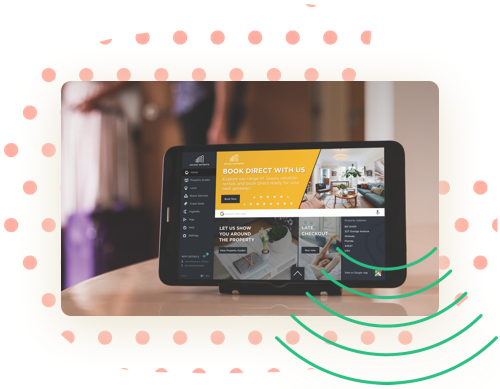 Set up any service that you want to sell to your guests and the guest can simply purchase on the tablet. All services can be set up as request only or straight purchase. Popular services include late check outs, additional cleaning, equipment hire and parking. 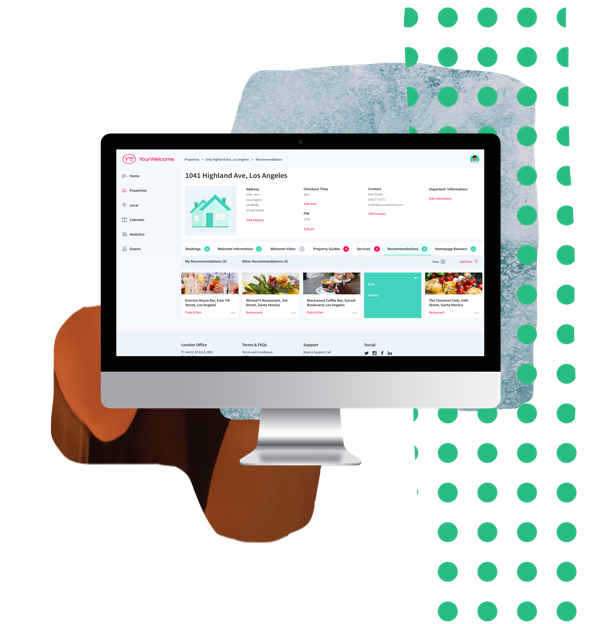 On-Demand Services: YourWelcome has partnered with the leading on-demand service providers across the world to enable your guests to easily access the best services in the area. These partnerships enable you to make a passive income from guest spend during there stay. Services include food delivery, tourist tickets, car hire and airport transfers. Tablet Branding: Place your brand in front of your guest when they are staying. Tablet can be fully white labelled, including color schemes and logo placement. Promotional Banner: Drive direct booking and email list sign ups by customising tablet banners. Enable guests to simply interact with your brand during their stay. Area Guides: Tablets come pre-populated with area guides local to you. 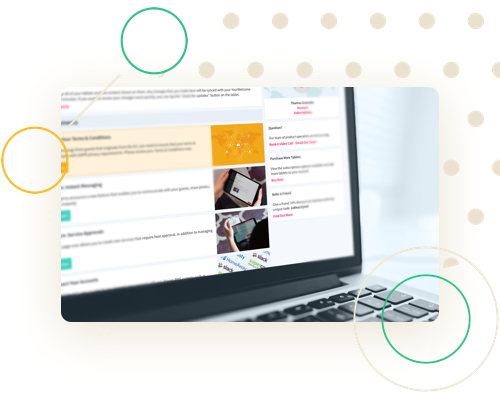 Save time keeping your guides up to date as our content team do the work for you. Add Check List: Manage your cleaners direct via the tablet. Add a simple task check list with or without photos, on a per property / portfolio basis for each task you want the cleaner to complete. Includes multi language option. Timestamp Cleaner In/Out: Keep track of cleaning hours on a per property / per portfolio basis through the platform. 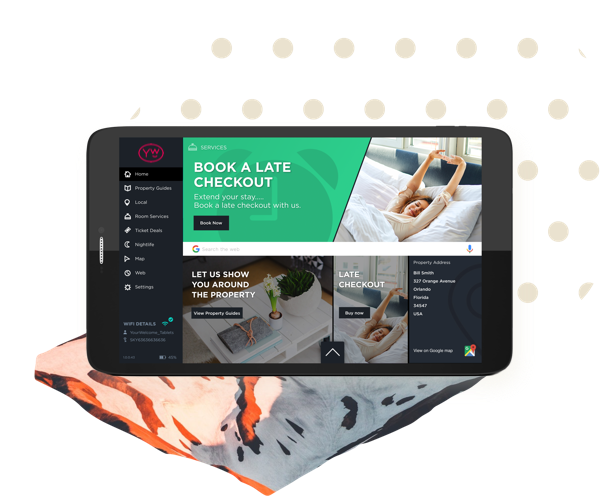 YourWelcome is the leading guest management & monetisation platform for alternative accommodation. Make more money from every booking. 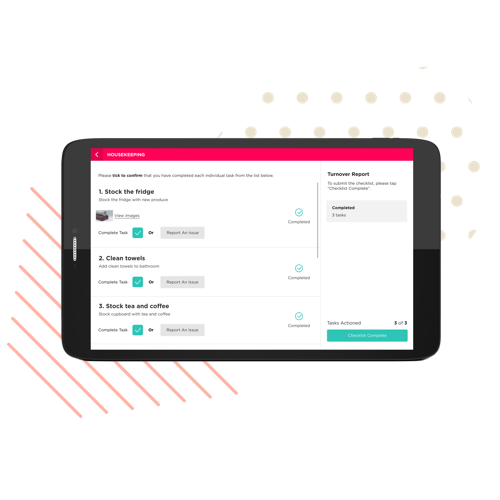 Sell Own Services: Offer and take payments in advance for pre-arrival services like early check-ins, welcome packs or equipment hire – YourWelcome Advance has payments built in. On-Demand Services: Make a passive income from guests booking on-demand services such as Airport Transfers and Car Hire. Real Emails: Increasingly OTA’s mask the guest’s real email address with a proxy email – making it difficult to contact them off platform. 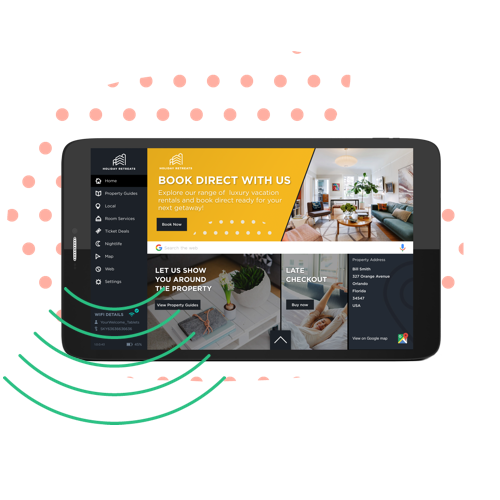 YourWelcome Advance detects when guest’s details have been hidden and asks guests to supply their real email – enabling you to send important links, telephone numbers and documents. 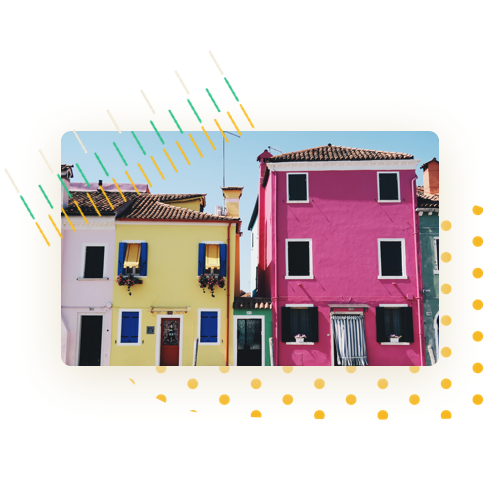 Add Details to CRM: Building an accurate and complete CRM is crucial for retargeting guests to drive direct bookings. YourWelcome Advance is a fully customisable check-in experience; you choose which fields you want to capture and whether they are optional or mandatory. Ensure all guests have seen and agreed to your properties terms and conditions and that you are legally allowed to re-market to them. Door Codes: Use an automated system for granting your guests access to your property? Once your guests are verified and checked in you can release the door access code or details and send it via YourWelcome Advance. We’re currently integrating with various door lock companies to provide automated short term codes. Arrival Times: Have your guests select from 30 or 60 minute arrival slots so you can better understand their ETA for peace of mind and/or to more efficiently schedule your meet and greet staff or key drop off. Request their flight or train times so you can check their arrival times are realistic! 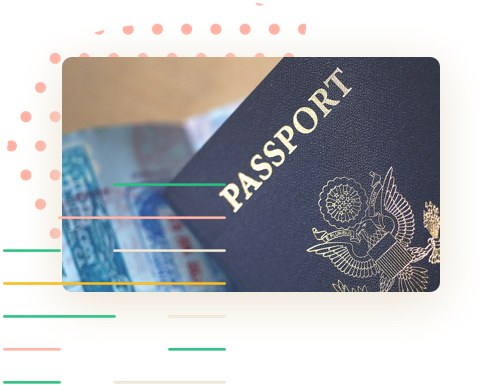 Guests ID: Request guests to submit a photo of their ID via YourWelcome Advance, you can also ask high-risk customers to send a photo of themselves with their ID – helping to eliminate the risk of charge backs on stays. 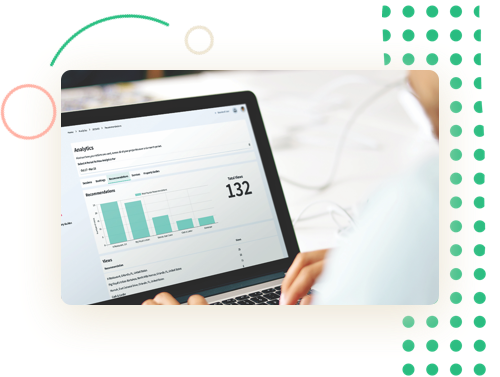 YourWelcome Advance is secure and meets all GDPR requirements on how you manage and share data. Taxes and Documentation: Live in a region where you need to take payment for guest taxes or copies of documentation? You can now manage this using YourWelcome Advance and submit your documents direct from your online dashboard. 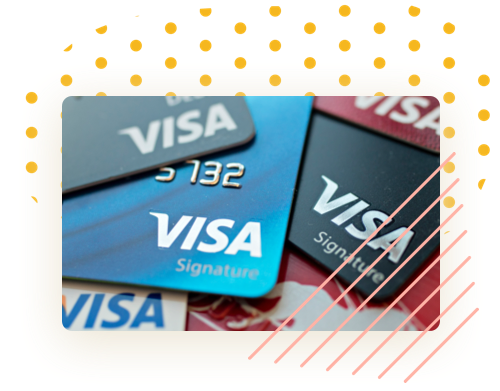 Take a Deposit: Pre-auth your guests card for payment against incidentals or damages. We also give you the option to take a deposit for the duration of the guests stay which will be automatically refunded when the guest checkouts. Settle a Bill: Settle the bill; add the outstanding balance to the check-in link and your guests will pay directly via a secure checkout. Initial Set Up: Simple interface to upload all property addresses and property information. Pro users are able access Account Managers to support initial on-boarding. On-going Management: Instantly update property information remotely. The tablets look for updates every 15 minutes, so your guests will always have up to date information. Connect Your PMS: YourWelcome integrates out-of-the-box directly with some of the most popular PMS (Property Management Systems) and OTA’s in the ecosystem. Importing bookings and guest information from your favourite operations software is as simple as touching a button. With more partnerships to be announced over the next few months, you can sync your calendars to ensure your bookings remain up to date. Single Unit Owners: Don’t have a PMS? No problem. Use YourWelcome as your booking platform and manually add reservations into the system via our easy to use interface. Network Partners: View and manage the on-demand partner YourWelcome works with in your area. Selling Own Services: Set up services such as late check out, set pricing and manage your revenue. 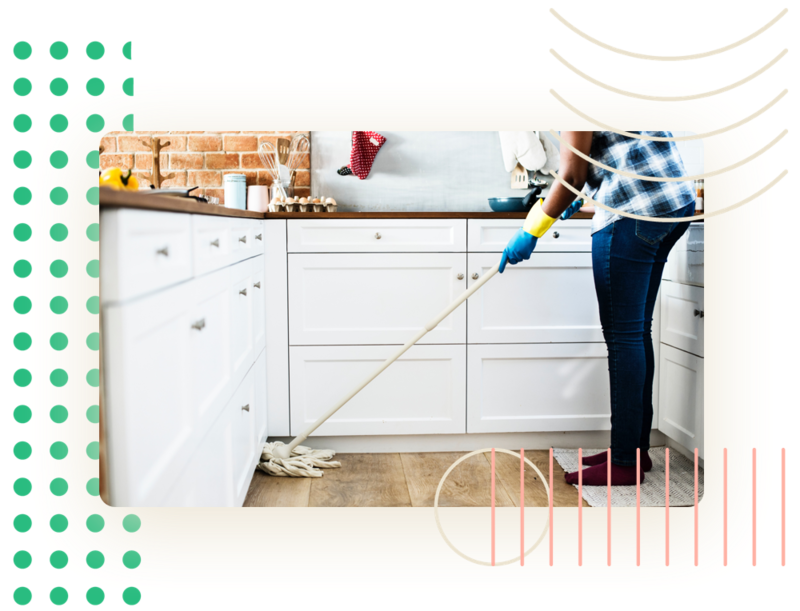 Create Tasks: Maximise the time that your cleaning team spend in each property by creating a simple check list and order of tasks. Reporting Issues: Enable your cleaning team to easily report any issues in the property, including sending images and text regarding any problems that need fixing. Instant Feedback: On arrival the guest is asked for instant feedback (1-5 stars). This instant feedback enables you to respond to issues before they affect the guest online review. OTA Reviews: Prompt more guest reviews by using the tablet to promote leaving reviews prior to check out. Surveys: Improve the volume and quality for guest survey responses from your guests by encouraging responses prior to check out. Logos and Branding: Extend your brand into the property by branding the tablets with your logo and corporate collars. Banners: Drive traffic to your website from guests to extend their stay, sign up to newsletters and view your portfolio. Area Guides: YourWelcome comes pre-packed with area guides for your guests. Add additional information to the guides to make the guest experience more personal. Recommendations: The tablet comes packed with recommendations for restaurants, bars and places to visit. Customise the recommendations with your favourite places to visit. 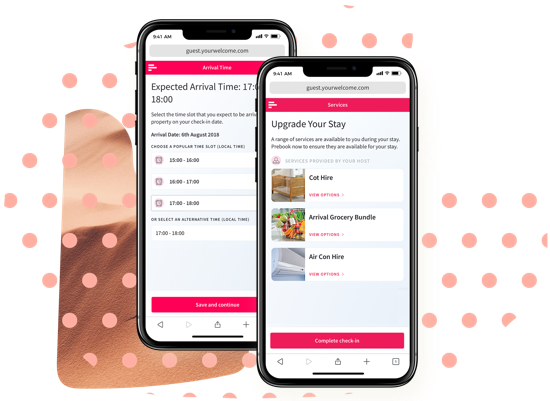 Guest Trends: Understand what you guests want from their stay but getting a data analysis of search and purchase trends of your average guest. Insight: Use guest behavioural trends to highlights attractions and places guests spend money in and use this to negotiate advertising deals.